The ongoing discussion concerning a national patient identifier (NPI) has recently taken a new turn. The critical role of an NPI in promoting interoperability is now commonly acknowledged. There are discussions about how to re-engage the federal discussion on this topic. The existence of an NPI would have dramatic impacts on related issues such as the quality of medical care, medical privacy, patient empowerment and the ability to create a longitudinal medical record. This breakfast event is co-sponsored by Kantara Initiative and MedAllies. Hannah will focus on the various assurance related activities within the Authentication and Authorisation for Research and Collaboration (AARC), LoA profiles and the Security Incident Response Trust Framework for Federated Identity (SIRTFI), and give a brief overview of the AARC project. Join us in Munich, Germany as Kantara links connected Life to Industry 4.0! This years conference themes are directed towards IoT. And Kantara's Identity of Things Discussion Group Chair Ingo Friese has a great story to tell around architecting for IoT. But that's not all! You'll hear about Kantara's coolest new work group, OTTO (Open Trust Taxonomy for OAuth2.0) and Europe's new tool for the GDPR - the Consent Receipt from Kantara's Consent and Information Sharing work group. You'll even get the inside track on Kantara members' keynotes later in the week! Talking of Keynote Speakers we are delighted to announce Andrea Servida, Head of Taskforce 'Legislation Team' will offer closing comments for the day. Sounds like you? Join us, and SAVE! Use this promotion code kantaraprom16 when you register and save 10%! Join us at Kantara's pre-conference workshop, Monday June 6th, 9am - 12noon. Kantara will have its best and brightest on the podium and in panels for you to quizz and question. Kantara workshops are designed to be interactive and flexible, with a mix of presentations, panels, and 'cameo' appearances from keynote speakers in the main event giving you a sneak preview of their topic. Special treats await Kantara members and participants who attend this pre-conference workshop. Each morning at the conference breakfasts, please join us at the unofficial "Kantara table" - we'll have a small sign - we look forward to meeting up with you! Don't delay. Put it in your diary or calendar now! 'The great white north' is the birthplace of many of the best minds in the Digital Identity space. And many of those are Kantara members and participants! Identity Assurance WG's Ken Dagg will be Kantara's official representative, but Colin Wallis ED, supported by Andrew Hughes, former ED Joni Brennan and others who will take their place at the podium or on discussion panels. Several of our member organizations and a liaison will be presenting too - SecureKey, 2 Keys, DIACC and others. Watch out for another special, game-changing announcement from Kantara at this event! Advancing human centric personal data. The conference brings together engineers, business representatives, researchers, government officials, and civil society activists to discuss the future of personal data management. This event is being organised by the Personal Data & Trust Network’s ‘consent’ working group, Co-Chaired by Mark Lizar & Richard Beaumont. The group’s focus is on innovating and engineering consent at scale for personal data sharing. This event will present emerging consent tech, and the Consent Tech summer projects inspired by the Real Consent workshop series. The Internet Identity Workshop has been finding, probing and solving identity issues twice every year since 2005. We meet in the Computer History Museum in Mountain View, CA. Every IIW moves topics, code and projects downfield. Name an identity topic and it&#39;s likely that more substantial discussion and work has been done at IIW than any other conference! Unser Leben wird laufend stärker digitalisiert. Immer öfters hinterlassen wir eine Datenspur. Immer öfters sind wir aber auch auf die Verwendung von elektronischen Daten angewiesen. Mobility, Security und eIdentity sind hier Schlüsselaspekte, um unser persönliches eLife möglichst sicher zu gestalten. In einem interaktiven Format wollen wir in diesem Zusammenhang mit Ihnen Risiken, Herausforderung und mögliche Lösungen beleuchten. Kantara Initiative’s Executive Director, Colin Wallis, will be presenting at the UK’s leading event for the discussion and deployment of risk-driven business-centric Identity and Access-Management across government and large enterprise organizations. 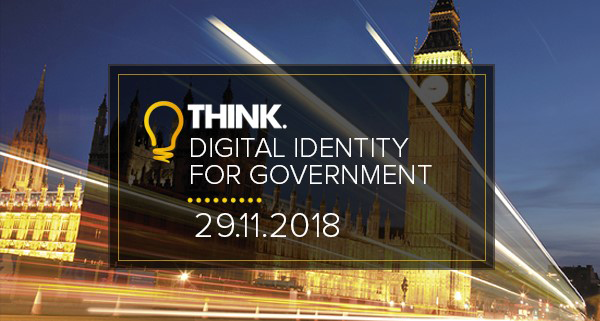 Join hundreds of thought-leaders and innovators at Whitehall Media’s 14th bi-annual Identity Management Conference. Identify new frontiers and opportunities, discuss ways to transform IAM into an actionable critical business resource and review the latest trends and technologies shaping the IAM sector to help you stay ahead of the curve. At Gartner Identity & Access Management Summit 2016 you’ll learn how to position IAM as a key partner in business innovation, and carve out the time and resources for IAM projects to make the value come alive. Hear the latest tactics and best practices across IAM fundamentals, and take a look ahead at analytics-driven automation and advances in consumer engagement platforms, so you can craft and implement an IAM vision and strategy for the digital age. 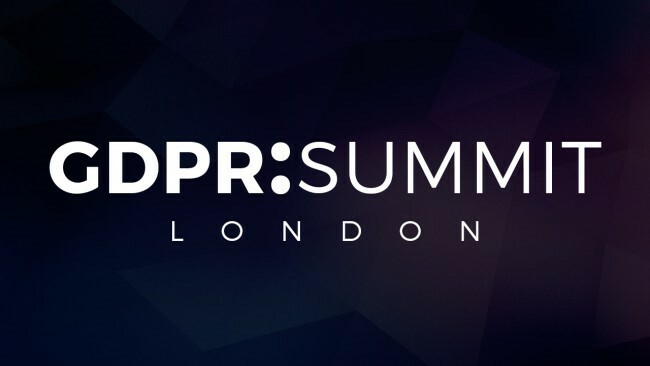 Don’t miss this exciting opportunity to understand what Real Consent looks like in action, find out how consent receipts are being rolled out to industry and explore how a variety of businesses are using Real Consent in preparation for the new GDPR regulations to come into force. Presented by the Office of the CIO and the Ministry of Finance, Government of British Columbia, this three-day conference is recognized as one of the top tier events in North America. Anyone working in the privacy or security field will benefit from the speakers and networking opportunities this conference offers. Get face-to-face dialogue with international industry experts while getting a pulse on what is happening today for new tools, technologies, and processes. Take advantage of the opportunity to learn about new approaches to info security, discover the latest technology and interact with top security leaders and pioneers. Hands-on sessions, keynotes and informal gatherings allow you to tap into a smart, forward-thinking global community that will inspire and empower you. Note: Guidance on finding a suitable login on the registration page. 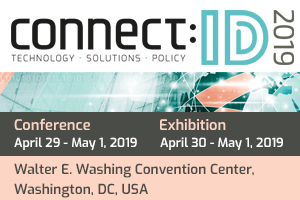 If you are a non academic R&E attendee, look for the Social Networks tab for usual social network login options or much better, UnitedID's login under the Miscellaneous tab. Kantara is sponsoring the Trust and Internet Identity Meeting this year in Vienna. At this conference people will be working towards a better understanding and developing new concepts, using an agile format with participant-driven contents, covering the attendees’ current interests. TIIME’s format has been designed for solving trust and identity issues. 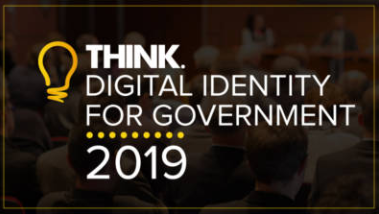 From privacy and identity to assurance, business cases, policy, and governance – TIIME will provide attendees with relevant information and up to date information. If you are looking for a substantion discussion on this subject it is likely that you will meet the right people here. 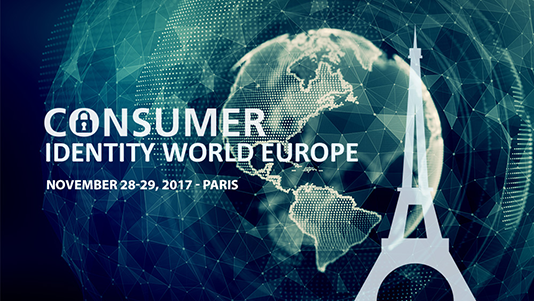 Learn about the latest innovations in ID authentication, KYC, client onboarding, and AML at the 2017 Identity & KYC Summit Europe. 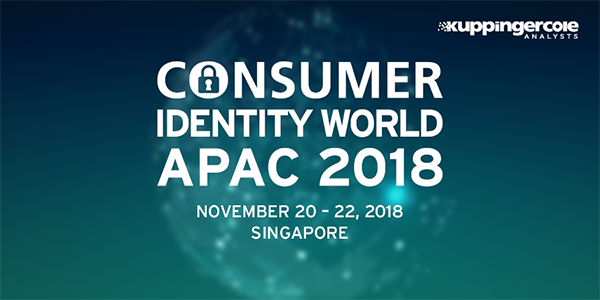 This event will bring together the combined insights of experts in identity, technology, risk, KYC compliance, AML and product/business lines; and will explore how firms can reinvent identity authentication and KYC processes for the digital age, to enable vastly cheaper, quicker and more user-centric onboarding, for both individual and corporate clients. Kantara Executive Director Colin Wallis will be participating in the Open Roundtable as well as the Panel on User-Friendly Digital Onboarding. ISO/IEC JTC 1/SC 27 develops International Standards, Technical Reports, and Technical Specifications within the field of information and IT security. Standardization activity by this subcommittee includes general methods, management system requirements, techniques and guidelines to address both information security and privacy. SC 27 develops key cyber security industry international standards such as the ISO/IEC 27000 series of standards used by organizations globally. Attended by national delegates from all participating and observing ISO member countries and organisations, this is the first time this global event is held in New Zealand and it is co-organised by the Cyber Security Researchers of Waikato and the Cloud Security Alliance. Kantara Initiative is sponsoring the Internet Identity Workshop. This event has been finding, probing and solving identity issues twice every year since 2005. We meet in the Computer History Museum in Mountain View, CA. Every IIW moves topics, code and projects downfield. Name an identity topic and it's likely that more substantial discussion and work has been done at IIW than any other conference! 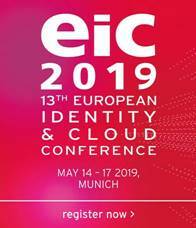 The European Identity & Cloud Conference is Europe’s leading event for Identity and Access Management (IAM), Governance, Risk Management and Compliance (GRC), as well as Cloud Security. 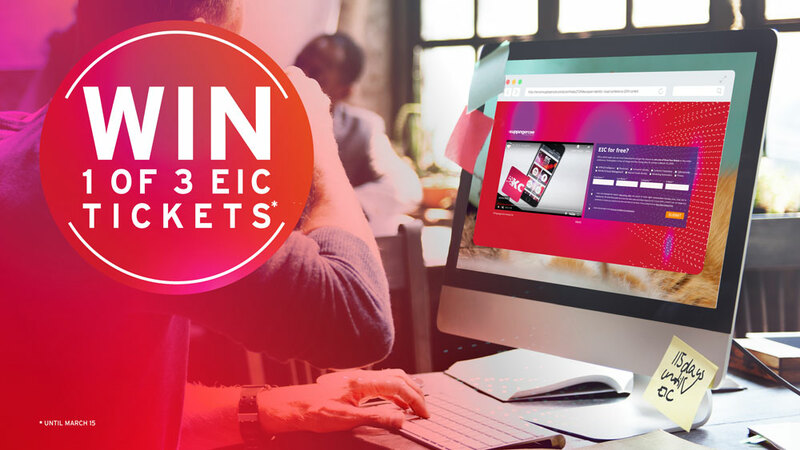 For the 11th time the EIC will offer best practices and discussions with more than 700 participants from worldwide companies including most of the leading vendors, end users, thought leaders, visionaries and analysts. Kantara members please contact the staff to receive your discount code for 10% off the registration fee. View more details about the Kantara Workshop. Join a special Breakfast with Kantara during the European Identity & Cloud Conference (EIC)! 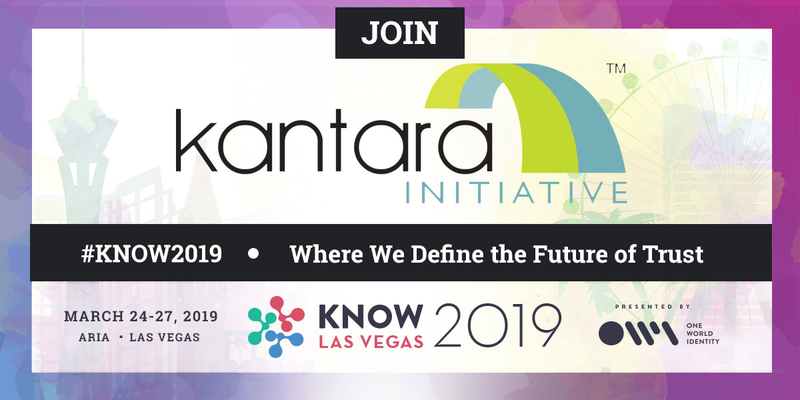 Take time out of your busy conference schedule to connect or reconnect with members, directors and Kantara's executive director. Register Online before May 4. Registration is required no later than May 4. *Due to space restraints, your registration is mandatory. Those who attend without registering will be charged $40. IdentityNorth is the leading event for individuals and organizations interested in digital identity and the digital economy. It is where Canadian and international leaders come to share the ideas and knowledge that will drive Canada’s digital future. The conference delivers high value content through its subject matter experts, keynotes and an “unconference” day - a participant driven event where attendees build the agenda and lead inspiring and insightful sessions on contemporary identity topics. 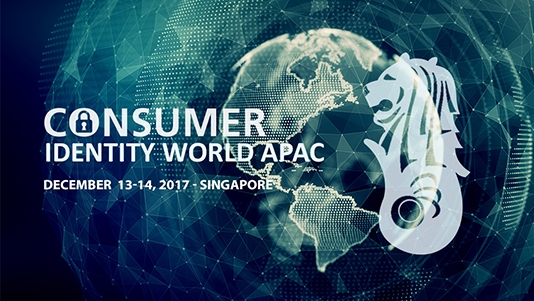 Day One will be full of presentations by leading identity and digital economy experts from Canada and around the world. That evening we will host The Leaders Dinner, honouring the visionaries who have led and continue to shape the Canadian and global identity space. Day Two is slightly shorter, as an “unconference”. Drawing upon the incredible expertise of gathered attendees, participants will work together to tackle the hottest topics and thorniest issues facing the industry. Come prepared to challenge the room with the toughest "opportunities" on your plate. The Cloud Identity Summit was founded by Ping Identity in 2010 with support from industry leaders to bring together the brightest minds across the identity and security industry. 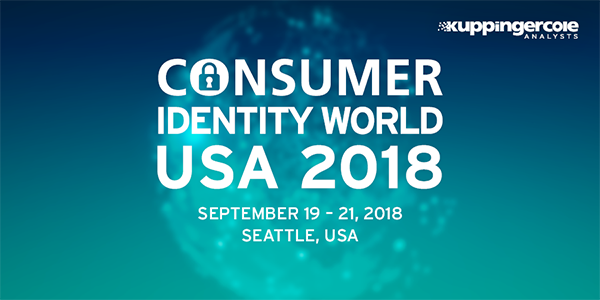 Today, our family-friendly event is recognized as the world's premier identity industry conference and includes tracks from industry thought leaders, CIOs, executives and practitioners. Cloud Identity Summit serves as a multi-year roadmap to deploy solutions that are here today and built for the future. This option is ideal for startups and smaller companies to promote their work and raise awareness with key players and prospects in the digital identity community. Option 2: 20% discount on Bronze or Silver sponsorship (2 Bronze and 1 Silver available). Package also includes an Kantara member board to display at the stand. Please contact the Kantara staff if your company is interested in either of the above exhibitor options. Kantara members receive a $500 off full price for Summit registrations. Register by 30 April 2017. As a Kantara guest, we'll offer you an optional designation on your badge when you check in to the Summit. Please contact the Kantara staff to receive the discount code. Join the smartest minds in the identity and personal data community as together we roll out the new generation of assurance service programs supporting the Cyber Framework, 800-63-3 and GDPR era. 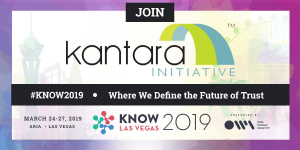 Taking the work in Kantara’s innovation groups (UMA, Consent and Information Sharing, OTTO and IRM) and leveraging Kantara’s liaisons and R&D shows Kantara’s model in full circle from innovation to discussion to work to service. Join us at this Americas members plenary session to get the inside track on these stunning innovations and follow them up at our community showcase at the expo area. This conference is organized by EEMA hosted by Microsoft and supported by DG CONNECT (European Commission) and ENISA and will contain the highest quality content. This is a must attend event for those in business, public sector and government who are involved in the policy, security, systems and processes surrounding trust. 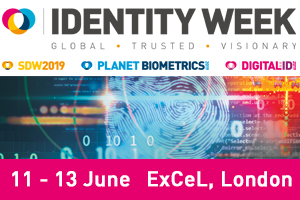 See @KantaraColin @IDMAndrew and @futureidentity kick off Track 6 at 9am on July 5th, entitled "The Kantara Initiative Use of Standards & Conformity Assessment Schemes to Increase Trust in Digital Identity Systems". Kantara members in good standing receive a discount of 250 euro (+VAT). Contact staff@kantarainitiative.org to receive the code. MyData is a human centred approach in personal data management that combines industry need to data with digital human rights. MyData 2017 conference brings together an international crowd of 1000 people from businesses, research community, civil society and government to shape the fundamentals on how personal data is managed globally. Kantara members in good standing receive a 10% discount. Contact staff@kantarainitiative.org to receive the code. Come to CIW17's pre-conference workshop to see and hear about Kantara’s work in the domain of CIAM, and chat with its members presenting & in attendance, as we curtain-raise this great global event series. View the full agenda and register online to attend. 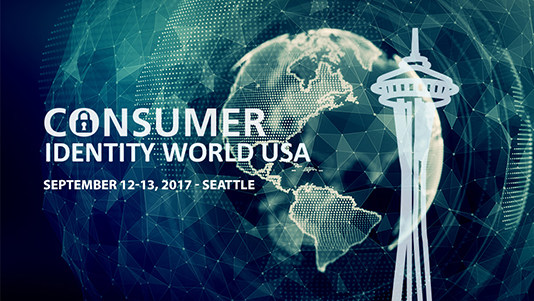 Kick off the 2017 Consumer Identity World conference -- and wind down from the Kantara Pre-Conference Workshop with a very special happy hour event. Join us Monday, September 11th at 7pm at Irish pub Wilde Rover in Kirkland for a night of live music, drinks and snacks, and a chance to meet and mingle with your fellow identitarians before the conference begins. Live music, you ask? Absolutely! Don't miss the second-ever performance by the hardest workin' band in identity: ZZ Auth and the Love Tokens! View more details and add this free event to your calendar! Join us to gain a deeper understanding of the regulation and leave the summit equipped with a roadmap to compliance. Non-compliance will be costly, those who aren't compliant face fines of up to 4% of their annual turnover or €20 million. A discount code is available to all Kantara members in good standing. Please contact staff@kantarainitiative.org for details. Kantara members receive a 20% discount on registration with the code: ciwkantara20.